I really hate to see 2011 go. It was an amazing year for us. If I could sum up 2011 in one word, it would be: Surreal. -Saw the amazing Sir Ken Robinson speak in February. –Disneyland Surprise for my kids in March (& tons of shopping in Palm Springs). -Hubby chosen as a guest and then taping the Oprah show in April. 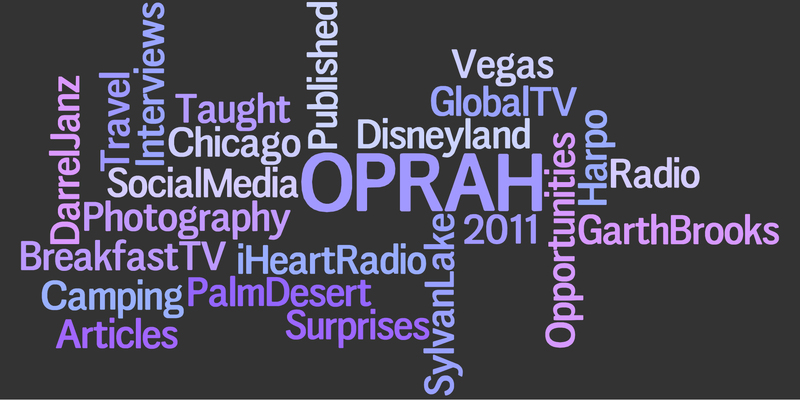 -Oprah Media Blitz in May (sorry a lot of links have expired). -Saw the iHeartRadio and Garth Brooks concerts in Vegas in September. I’ve met a lot of awesome new people, who have turned into friends, whether they be parents of my kid’s friends, or Tweeps. One of my Twitter BFF’s, Buzz Bishop has invited me to co-host the XL103 Morning show with him for a couple days next week, and I couldn’t be more excited. What a cool way to start 2012. 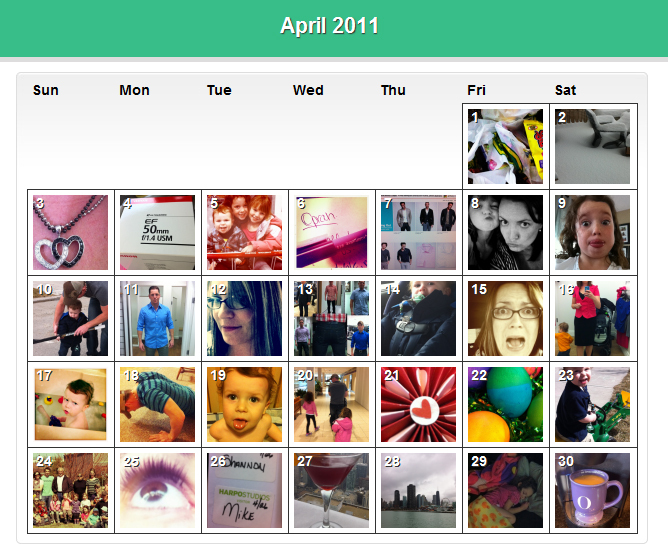 I’ve learned a lot about people in 2011. I’ve also learned a lot about myself. I have some talents that I didn’t know I had (like PR and self promotion – ha!). I discovered my ‘Love Language‘, and how that fits with all that has happened this year. My love language is ‘Words of Affirmation’. Hence why I love egocentric Social Media sites. I struggle daily with being egotistical vs. being proud of myself, my life and my opportunities. If I can’t be proud of myself, who will be? I’ve learned this year that a lot of people won’t be. And that’s okay. I choose the people I want in my life, and the ones I want to spent time with. Those are the people that cheer me on, and push me forward. They don’t hold me back or make me second guess my accomplishments & opportunities. And now I am looking forward; what will 2012 bring? I know of two trips we are planning this year, maybe three. We want to take the kids to Mexico, and we want to go somewhere fabulous for our 10 year anniversary in September. We are also considering a mini vacay to Seattle in the spring. My personal goal this year is to be comfortable with my weight by my 35th birthday in April. Either I lose some weight and get in shape, or I come to terms with my post-three-baby body. Maybe it will be a little of both. I will continue to teach Photography classes. I am both terrified and in love with teaching. It’s one of those ‘face your fears and do it anyway’ things with me. And, like I said after the Oprah taping, if I can do THAT, I can never be nervous about anything again. I hope the awesome opportunities keep coming. I can’t wait to see what’s next. I am open to anything and welcome new challenges.